Recently, Google has overhauled Google Hangouts to make it more feature rich and easy to use with integrated options that have given it the status of both an instant messenger and a video conferencing tool. 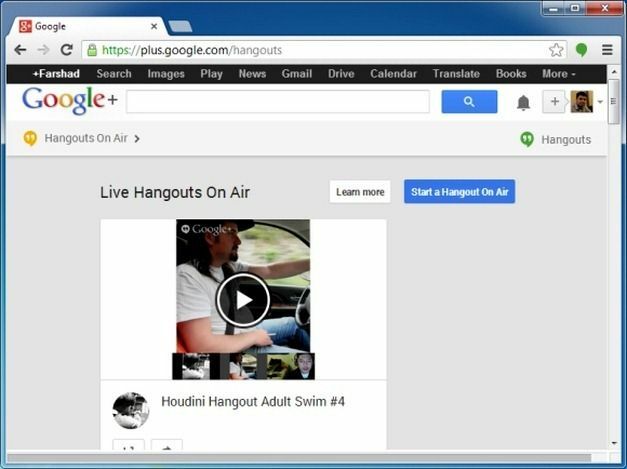 There are numerous extensions in Google Hangouts that you can use for enhancing its features and the Hangout Toolbox is perhaps one of the best extension of them all. 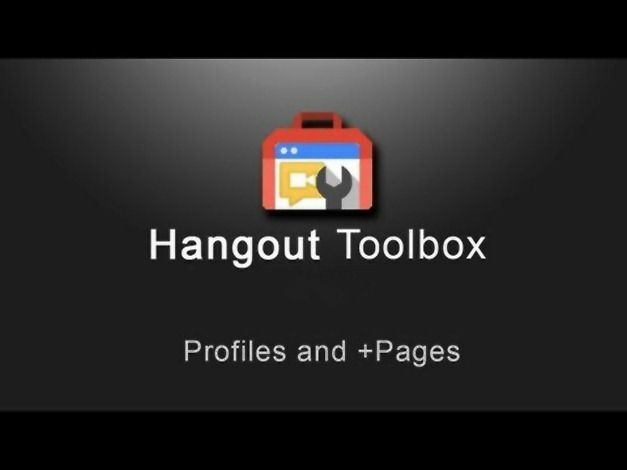 You can use the Hangout Toolbox to add additional features to Google Hangouts by adding your own branding overlay image, get volume control and comment tracking features and more. 1. Select a friend from Hangouts section and click the Video Call icon. 2. 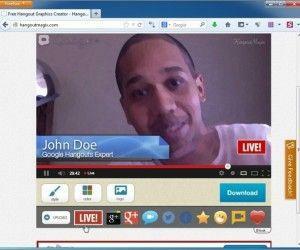 Go to your Google Plus profile, selecting Hangouts on Air, followed by Start a Hangout on Air. 3. Click the + button from your Hangouts list and type a name, email or phone number. 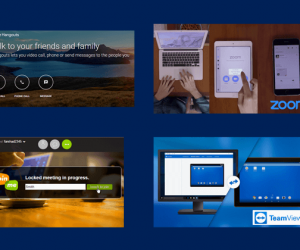 This will provide you with the required instructions for starting your Hangout via a step by step wizard. 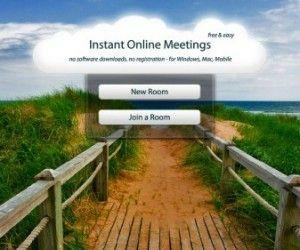 You might have to install a plugin to proceed with your hangout. 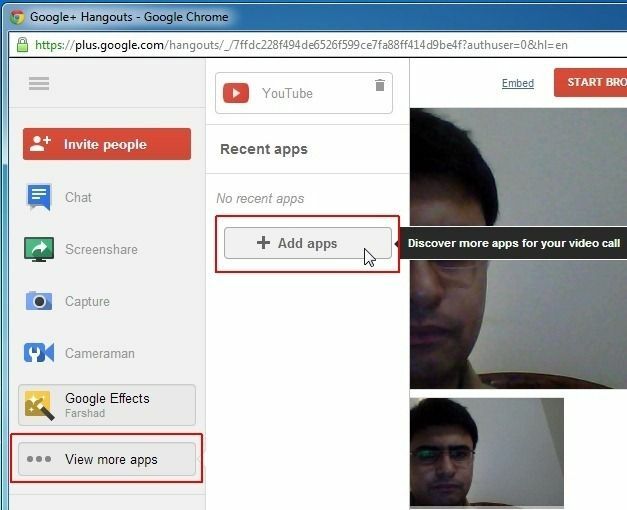 Once your Hangouts starts, click View More Apps, followed by Add Apps. 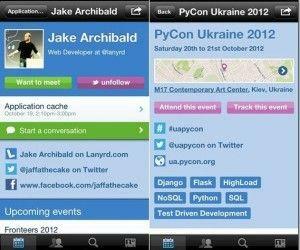 This is basically the section from where you can install extensions to enhance the functionality of Google Hangouts. 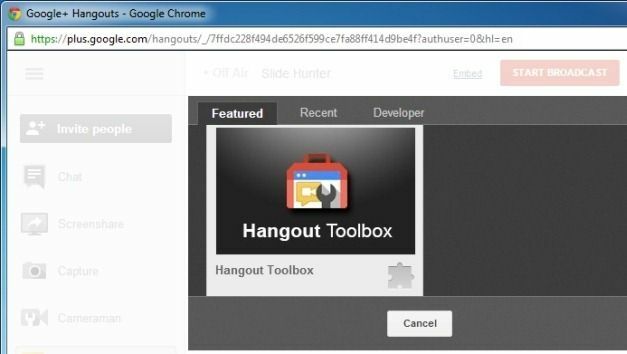 There are various types of available extensions that you can install, including the Hangout Toolbox extension. It is worth mentioning here that you will have to hover your mouse over the Hangout Toolbox extension icon to get the option to install the extension. Once installed, the Hangout Toolbox extension can be accessed from the left sidebar from where you can track comments, use meme images during Hangouts, display a clock and custom image overlay (with your company’s brand logo) and more. 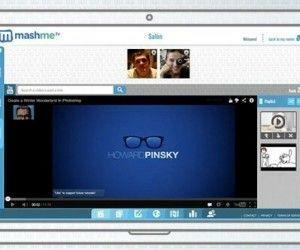 For more details, see this video about Hangout Toolbox.